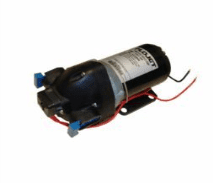 FLOJET 3521 Series Triplex Low Pressure Series pumps (15.1 LPM open flow) are designed for a wide range of applications and are constructed from a selection of materials suitable for handling a broad range of chemicals. 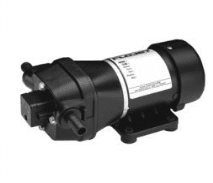 The 3521-500 and 3521-139 Triplex pumps are suitable for a number of applications including running small booms. The internal bypass fitted to this model makes it a very flexible pump suitable for a wide range of applications from spot spraying to a small boom (up to 6 m). Triplex Low Pressure diaphragm pumps are selfpriming and can run dry without harm. 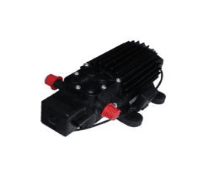 They are intended for intermittent duty cycles but can be run continuously for short periods of time. The higher the duty cycle,the shorter the expected life of the pump. Typical pump uses are liquid transfer, spraying, cooling, circulation, filtration and dispensing.